They are wild geese, but the chase is actually a mature male trying to run off three younger males who apparently want to join this flock along the creek in Carnegie. They just didn’t get it! 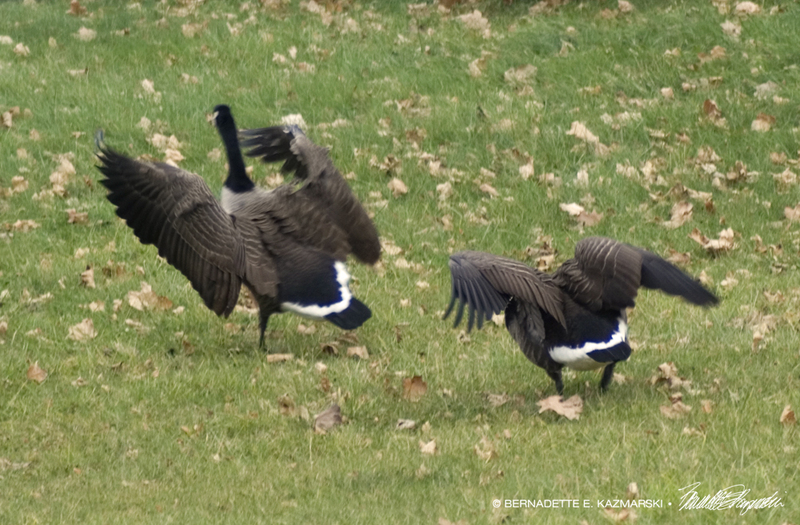 But if a goose came running at me with his head down and wings up, I’d take off for sure.